It’s not easy being a carbohydrate: Praised one month. Panned the next. Carbohydrates are our body’s primary energy source and should be an integral part of any wellness or weight-loss plan. However, it’s important to ensure you are consuming the right amount of carbohydrates from the right sources. 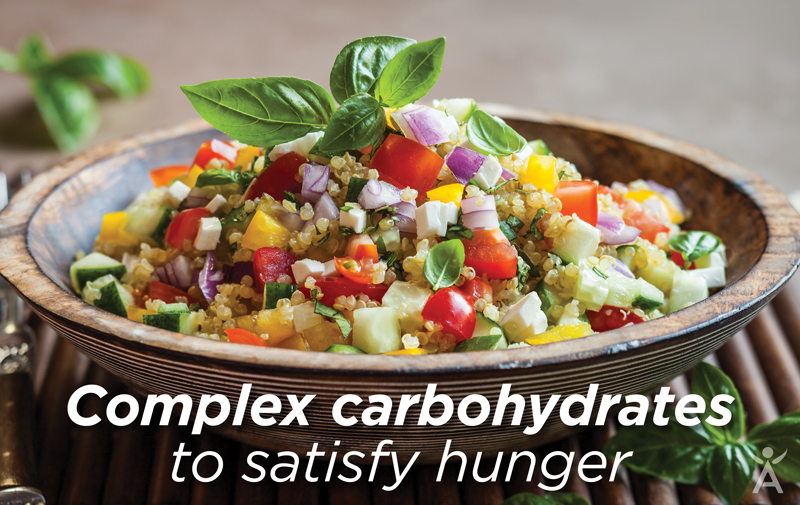 There’s no need for the extreme when it comes to your lifestyle and having complex carbohydrates in your daily diet is necessary for your short- and long-term health. Always keep these wholesome energy sources nearby – your health, quality of life and waistline will thank you. These delicious, powerhouse snacks portioned in 100-calorie packs contain 9 grams of carbohydrates, primarily from brown rice flour, along with 3 grams of fat and 10 grams of protein per serving. Available in Cheddar flavour, they’re perfect as a filling snack on the go. There is ample justification for why even one cup of this nutty-flavoured plant is considered a ‘superfood’. One serving contains 8 grams of protein and 5 grams of fibre, magnesium, phosphorus, potassium and more. It’s also incredibly versatile for your morning, afternoon and evening menu and is considered a complete protein, meaning it contains all nine essential amino acids the body needs. A versatile legume, lentils can be used in salads, soups, curries and even burger patties. An excellent source of dietary fibre, iron and potassium, a cup of cooked lentils provides 18 grams of protein and 230 calories. Fresh fruits are loaded with fibre and essential vitamins and minerals whilst still appeasing your sweet tooth. Frozen fruit is also a great replacement for ice in shakes or as a dessert. A breakfast and baking staple, oats contain fibre and a range of necessary vitamins and minerals. Whilst both nutritious, the benefits of steel-cut oats exceed those of rolled oats due to the way they are processed. For maximum nutrition, it’s recommended to add your own flavours to steel-cut oats such as cinnamon, fruit, nuts or almond milk and avoid pre-packaged, flavoured oats.